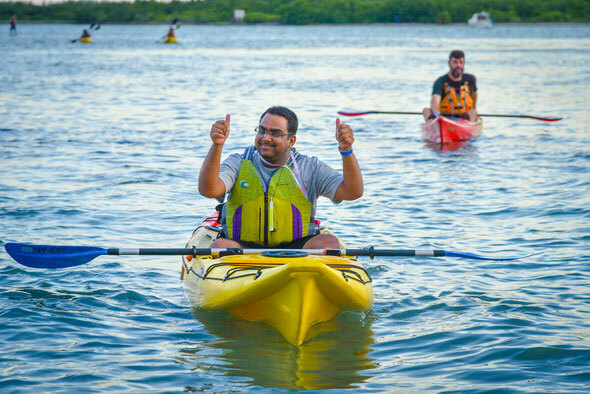 Virginia Key Outdoor Center is pleased to announce that it will be offering a series of ACA Coastal Kayak Instructor Certification Workshops. ACA Level 1 and Level 2 Instructor Training Workshops and Certifications are coming up. Cost is $125 per day with your own kayak. 2) Rescues (preventing the need for a rescue – bracing, assisted rescues (e.g., T rescue), and self rescues (e.g., paddlefloat). At the conclusion of this class, the Instructor Trainer will provide each student a (confidential) assessment as to how close they are to the ACA L2 Instructor standard and help them to develop a roadmap to get to that level. This class will be offered in Miami (at the Virginia Key Outdoor Center) on Sunday April 7. The cost for this training is $125/day, per person. 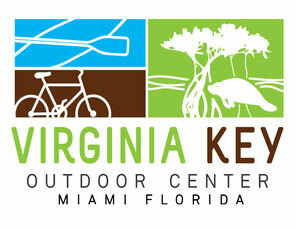 Equipment can be rented from the Virginia Key Outdoor Center, if you do not have it. In order to ensure a solid training experience, we will require a minimum of 4 participants and class size will be limited to a maximum of 8. This training session will be run by Steven Henkind. Steve is an ACA Instructor Trainer, and also certified as an L4 Open Water Coastal Kayak Instructor, L3 River Kayak Instructor, L1 Canoe Instructor and L1 SUP Instructor It should be emphasized that participating in this class does not guarantee that you will later achieve certification as an ACA Instructor. However, based on prior experience, there is a high likelihood that preparation, prior to an ICW significantly will increase the chances of a successful outcome. Esther (786.224.4777, Ext. 3; esther@vkoc.net) with any questions.
. Topics that will be covered include kayak strokes and maneuvers, kayak rescues (self and assisted), and kayak group leadership and management. The cost for this training is $125/day, per person. Equipment (Sea Kayaks) can be rented from the Outdoor Center, if you do not have it. In order to ensure a solid training experience, we will require a minimum of 4 participants and class size will be limited to a maximum of 8. This ICW will be run by Steven Henkind. Steve is an ACA Instructor Trainer, and also certified as an L4 Open Water Coastal Kayak Instructor, L3 River Kayak Instructor, L1 Canoe Instructor and L1 SUP Instructor. He is also a navigator (QMOW), and navigation instructor, on board the Coast Guard’s training ship EAGLE … so you can expect a significant emphasis on safety as well as a bit of navigation. It should be emphasized that participating in the workshop does not guarantee that you will be certified – there are specific criteria, and tasks, that need to be accomplished. However, if you already have strong paddling skills, and are willing/interested to do some preparation, you stand a very good chance of becoming certified. Of note, you need to be proficient at paddle strokes (including moving the boat sideways, and backwards), and you need to have a strong T rescue – but you do not need to be able to roll in order to achieve the L2 level. For those who are interested, an optional preparatory training session will be offered on April 7 (see separate course description). Rental kayaks, if needed, are available online. Please reserve in advance. Please contact Steve on his phone (914-420-1615), or via email (steven.henkind@gmail.com).